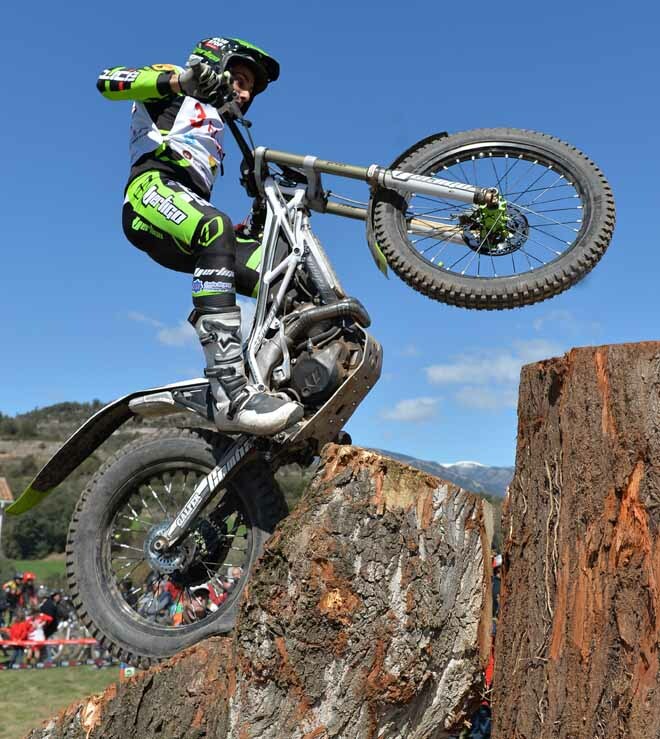 Cabestany snatches late opening day win in Spain! 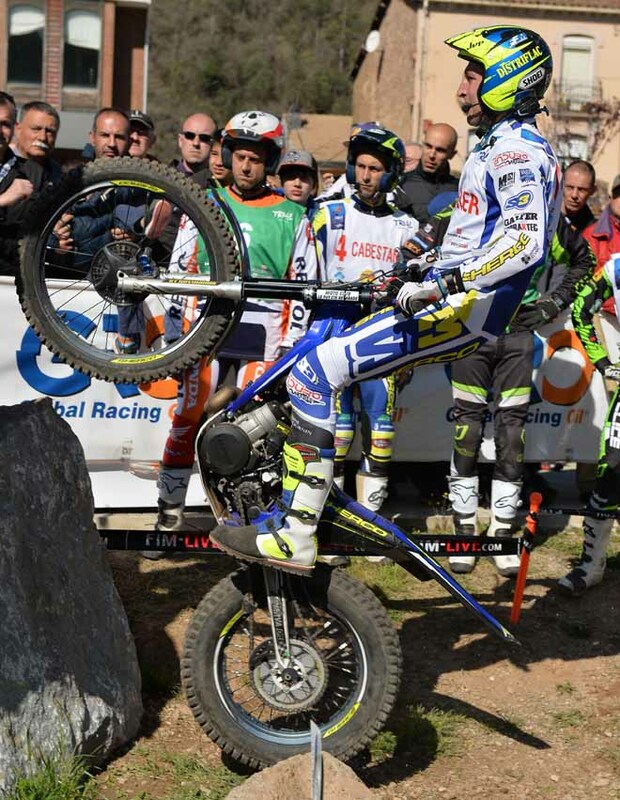 TrialGP – Albert Cabestany – Sherco snatched a late win on the opening day of the 2016 FIM Trial World Championship at Cal Rosal, Spain. 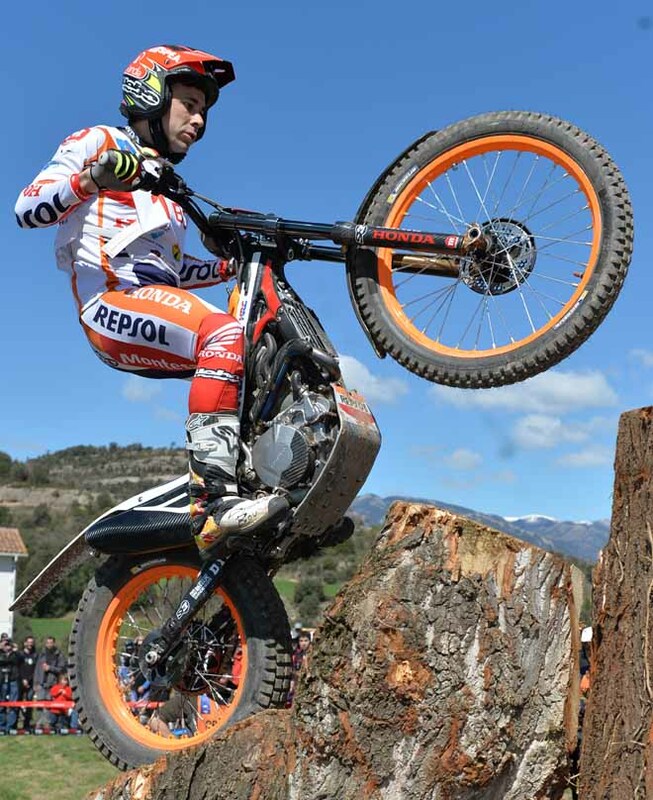 Aware that defending champion Toni Bou – Repsol Honda was riding with an injured shoulder, Cabestany took full advantage and claimed his first victory since he won in Andorra back in 2012. Bou defied the odds and rode through the pain barrier to claim an incredible runners-up spot one mark behind Albert. 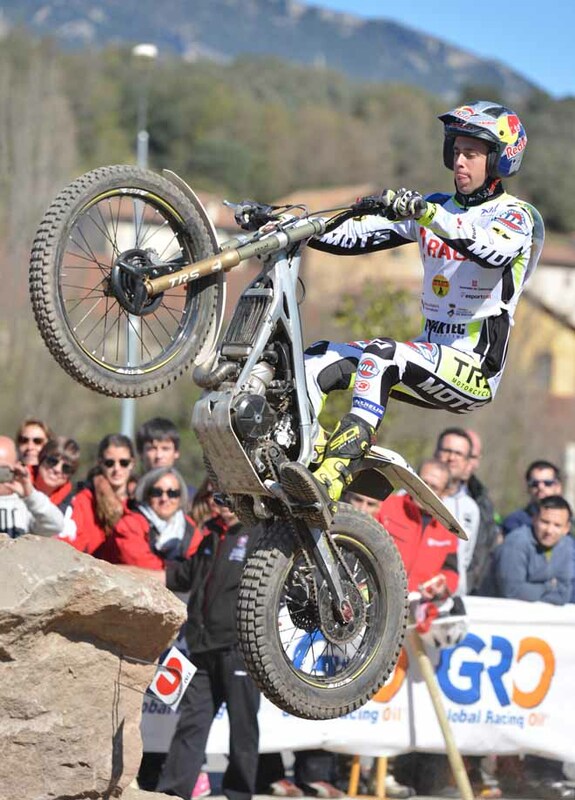 Adam Raga – TRS was disappointed to only secure third position despite being just three marks away from the win. 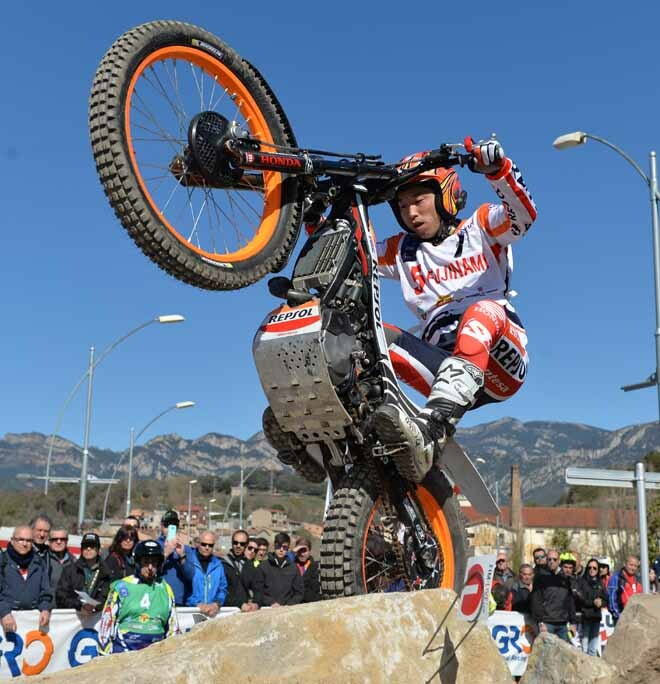 However, perhaps the most disappointed rider on the day will have been eighteen year-old Jaime Busto – Repsol Honda who led the newly named TrialGP class going into the final lap, but eventually slipped to fourth place as the immense pressure on his young shoulders took its toll. 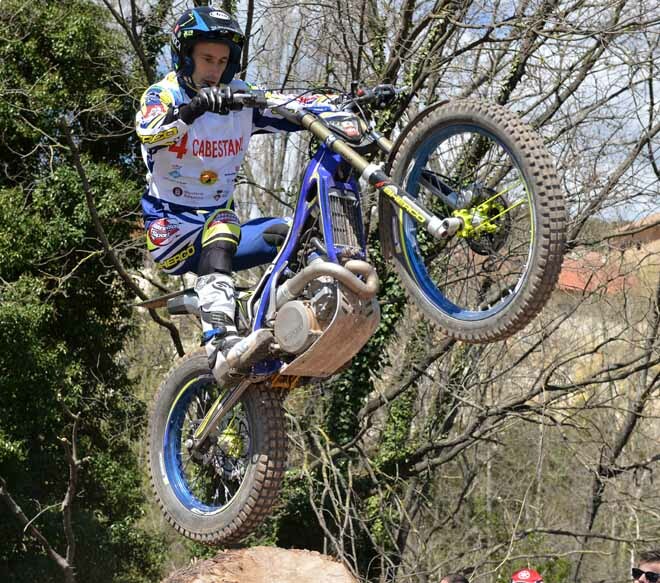 Jeroni Fajardo – Vertigo and Jorge Casales ended the day in fifth and sixth positions respectively to complete an all Spanish top six at their home GP with just ten marks separating the top six positions. 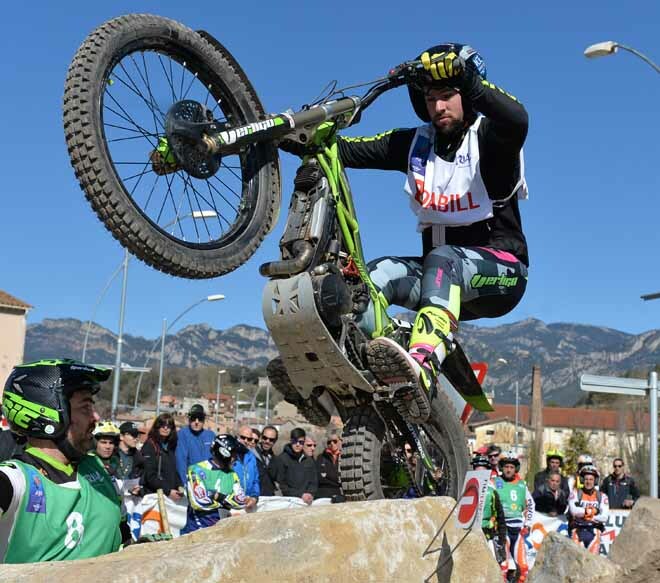 Trial2 – It was a faultless display by Spanish rider Arnau Farre – Gas Gas in the Trial2 class as he took the first victory of the new season without dropping a single mark over the three laps of twelve sections. 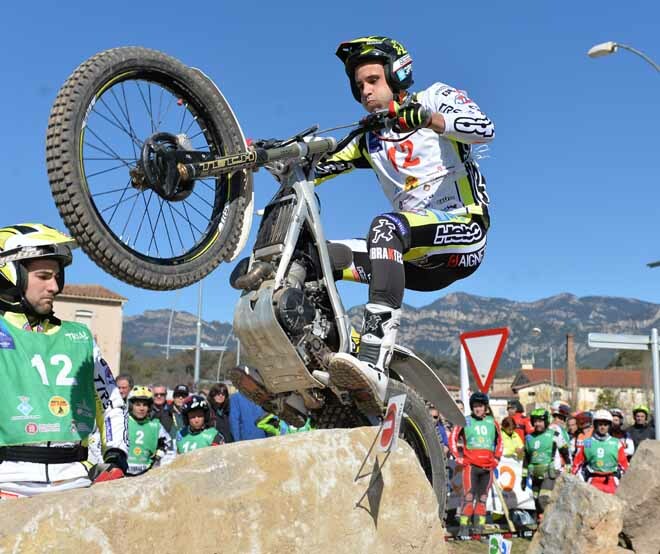 Whilst Aranu could not have ridden any better than he did, he still rode under great pressure as he was followed closely home by Italy’s Filippo Locca – Beta who parted with only two marks in total, those coming on the opening lap. 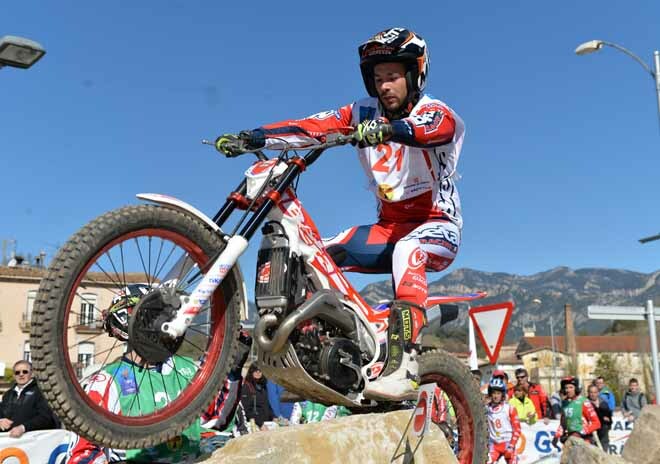 It proved to be a good debut for home rider Gabriel Marcelli – Honda as he claimed the last podium spot just one mark behind Locca. 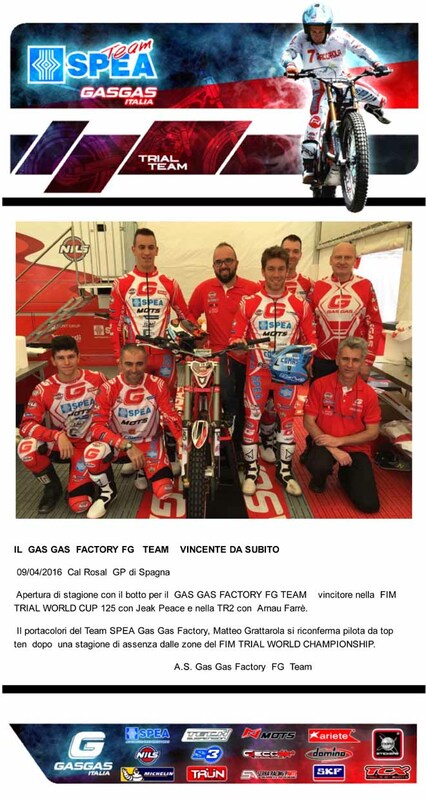 Confirming the highly competitive nature of this Trial2 class, a mere eight marks split the top five protagonists as Luca Petrella – TRS and Dan Peace – Gas Gas finished fourth and fifth respectively. 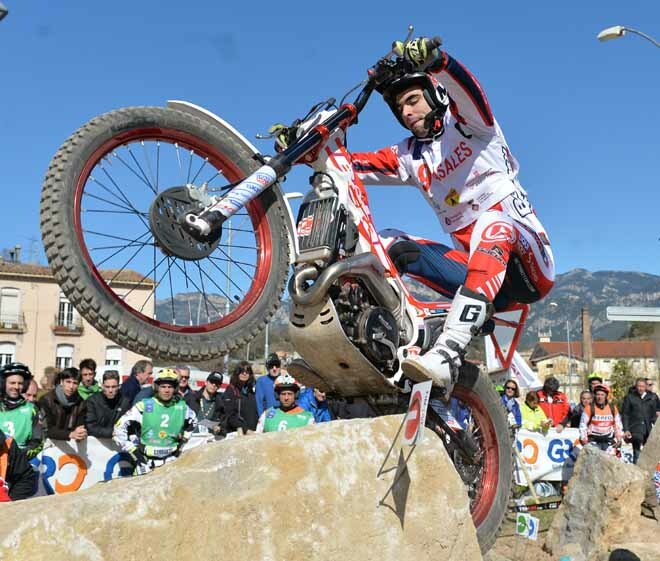 Trial125 – It was a winning debut for Britain’s Jack Peace – Gas Gas in the Trial125 class as he produced a dominant performance over his similarly young rivals. Peace, who recently turned sixteen years old, ended the day on just fourteen marks which was twenty-four marks clear of eventual runner up Max Faude – Beta from Germany. 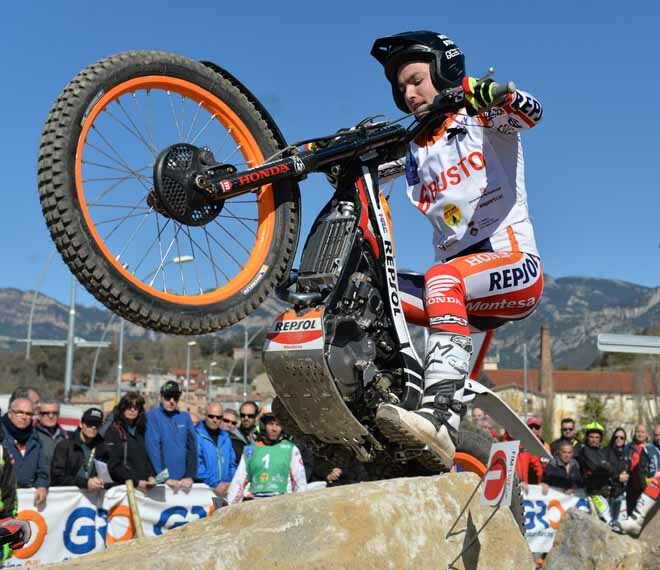 Mikkel Brade – Beta made it three different nationalities on the podium as the Danish teenager completed day one for the loss of sixty-one marks. 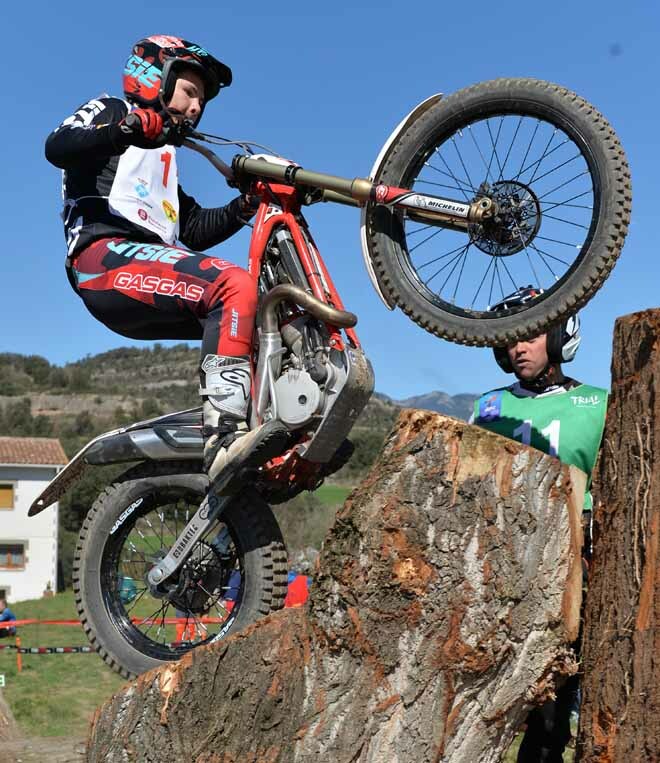 Tomorrow will see the second and final day of the Trial GP of Spain take place over a course similar to today, with only a few modifications planned to some of the sections ahead of Sunday’s competition. 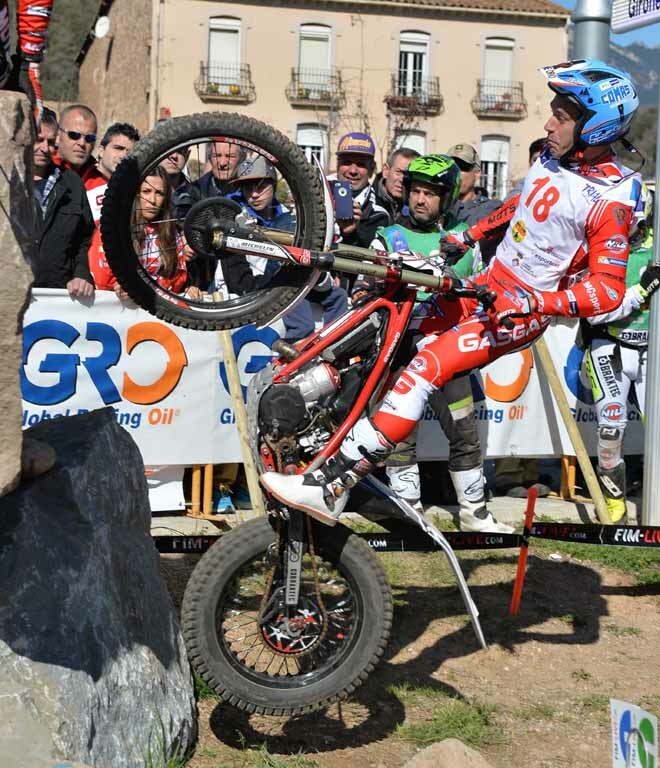 Cabestany vince la prima giornata in Spagna!